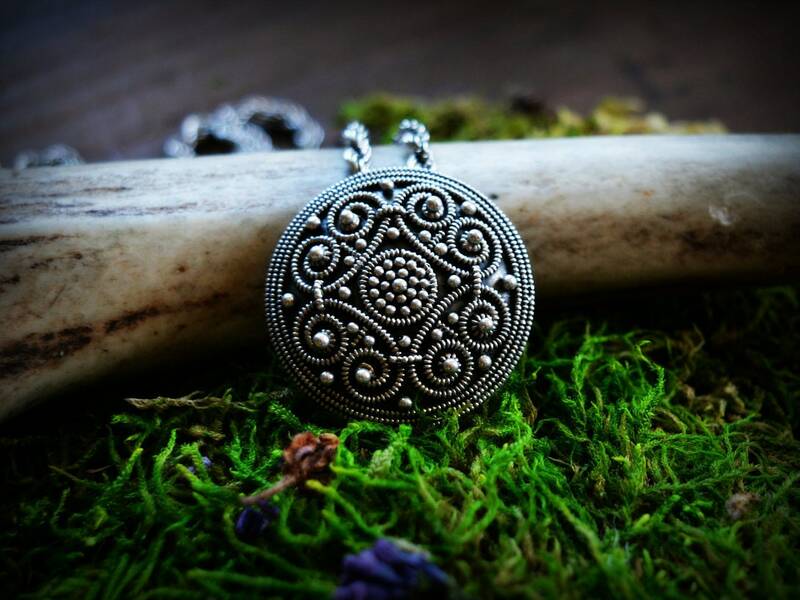 Beautiful silver Viking pendant in a shield shape, made in elaborate granulation and filigree technique. A faithful replica of a find from Sweden, dated to Xth. Amazingly detailed granulation work and volute motives design make this piece so eye-cathcing. A small piece of Viking art, solid, made with great attention to details. Pendants like this one were often worn by Viking women with other pendants and beads as necklaces between tortoise brooches, or simply on the neck. 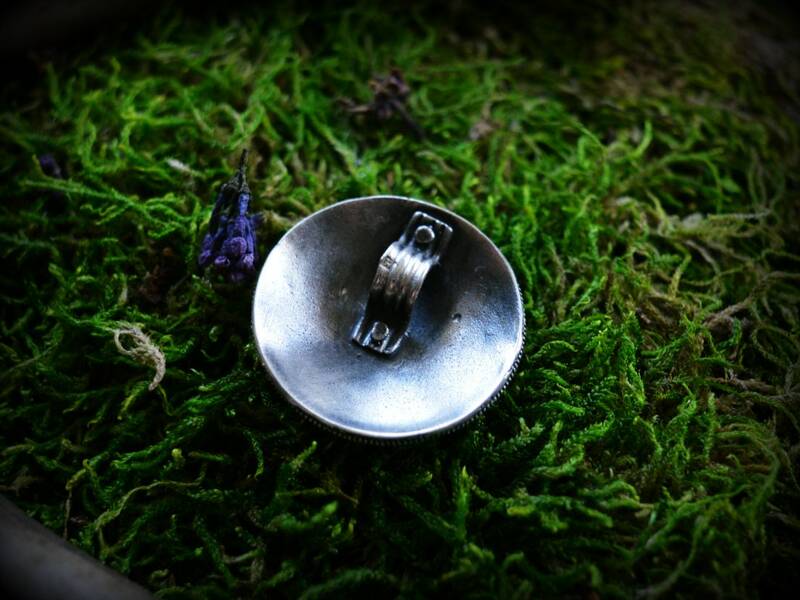 Very similar pendants are also known from Birka, Sweden. Attachment for a chain at the back of pendant.